Barnamala Roy has an MA in English from Presidency University (Kolkata, India). She has worked as a Sub-Editor with Kindle Magazine based out of Kolkata where she covered articles on literature, culture, philosophy, gender and society. She was a Designate Project Fellow with Sahapedia-UNESCO in 2017 and has just finished coordinating a multimedia project as part of her fellowship program. 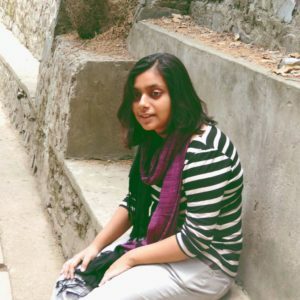 An avid bird watcher, bird-keeper and bird photographer, she pens poetry, fictional and non-fictional pieces which have begun to increasingly feature fauna and flora. Currently, she is exploring the community occupations around natural ecosystems and native species in remote areas of West Bengal. She also freelances as editor and translator. She is also one of the Coordinators of FSLE-India for the West Bengal- South Region.